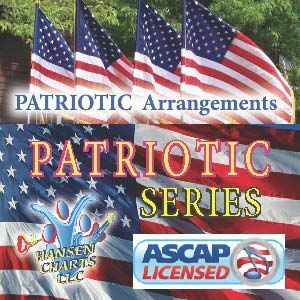 America, The Beautiful arranged for Vocal Solo (Alto/Mezzo) with Tenor Sax solo section and 5pc Horn band in the Key of G-Ab. This has a gospel 6/8 feel that really grooves and has some nice jazz harmonies. This was inspired by the Lakewood church version. (Note the Lakewood Version is in the key of Ab-A). Parts include: piano/vocal, piano, vocal, bass, drums, guitar, trumpet, alto sax (trumpet sub), tenor sax SOLO (alto sax sub), trombone, baritone sax (trombone sub). You can view a sample section of the score and hear the MIDI version of this arrangement. See the 5444 big band versions of this chart here on this web site.